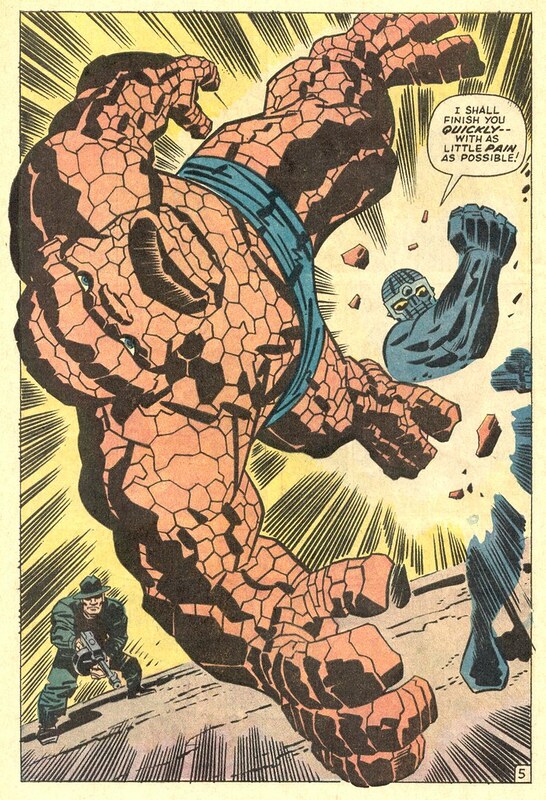 How many splash pages of the Thing did Jack Kirby draw? Quite a few, but here are some that will knock your socks off. Fantastic Four 93, 1970. The Thing versus Torgo, destroyer of men! FF #73, 1968. 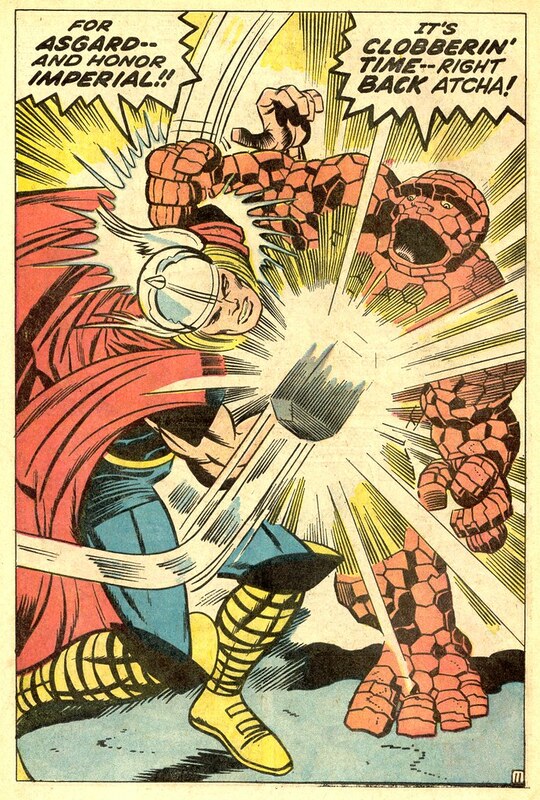 The Thing versus Thor! Fantastic Four 95, 1970. 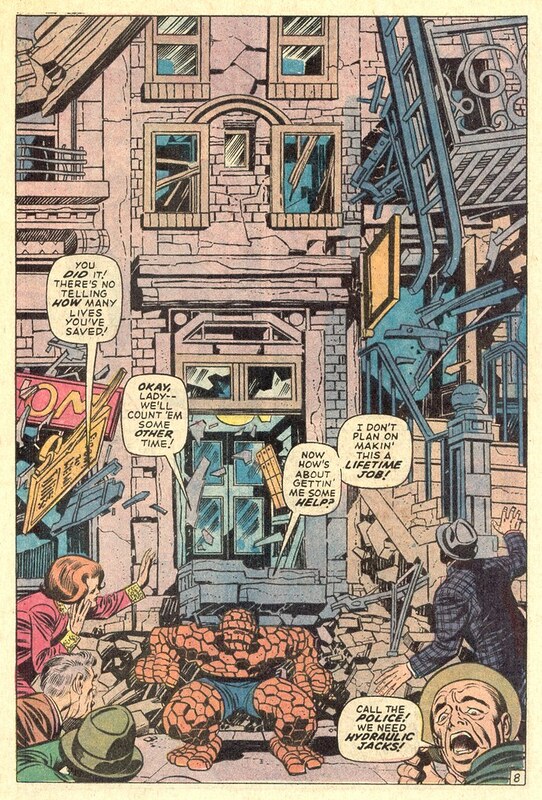 The Thing holding up a building and bantering some of Stan Lee's wittiest dialogue. 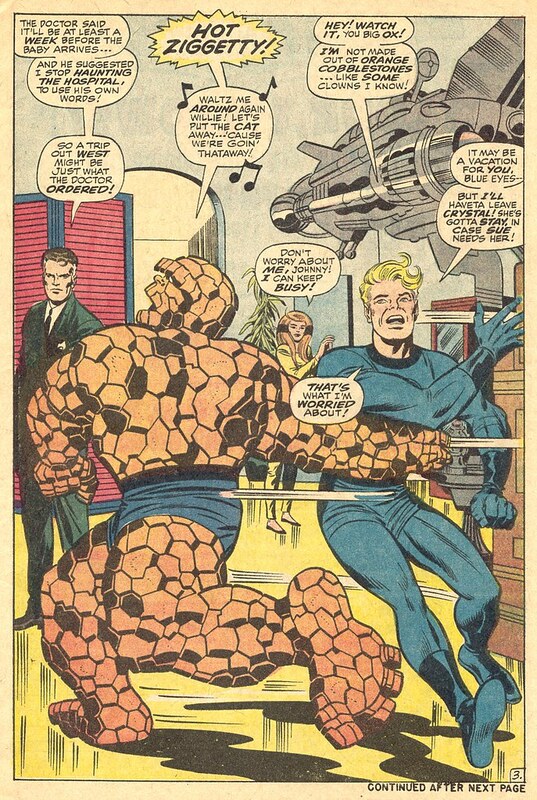 FF #80, the Thing dancing as he plans a weekend trip to Vegas. Nuff Said! What? No FF #51? Perhaps the most iconic Thing splash page of all. Fantastic pages, lovin' them even more in the Masterworks series.